Sensory experiences provided by activities and games, toys and critters are designed to help easier processing. Back riding or long lining with the horses or any rocking movement which produces the joyful hormone oxytocin and eliminates the melt-down hormone cortisol. Movement Method of learning by doing (instead of teaching) while playing games and doing crafts. Perception Taking – Theory of Mind games and discussions around the campfire, in the woods, on the trampoline or while riding. Self-advocacy practice at all times with trained mentors so children can learn to speak up for themselves. Nutritious snacks and meals prepared on site with the families and staff. Any special diets require that the parents bring their own food. Some Camping gear provided if necessary otherwise families are expected to bring their own tents sleeping gear and personal effects. Use of screen devices is discouraged but understandably required at times for communication with staff on the property and the outside world. 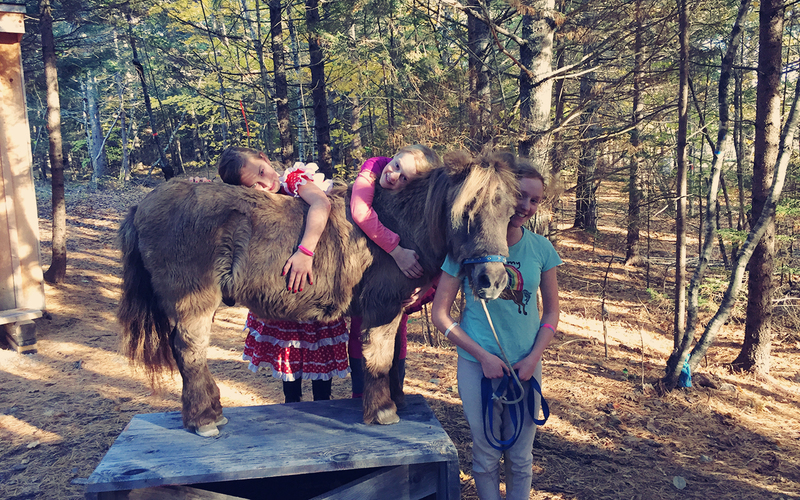 Activities include water play, Springfree™ Trampoline, Painting or chalk art, memory and sensory games, climbing, swinging, music, crafts, bread making, horseback riding, goat herding, campfires and what ever the kids come up with. Special Guest Chris Ulmer from Special Books by Special Kids will be visiting and taking interviews. 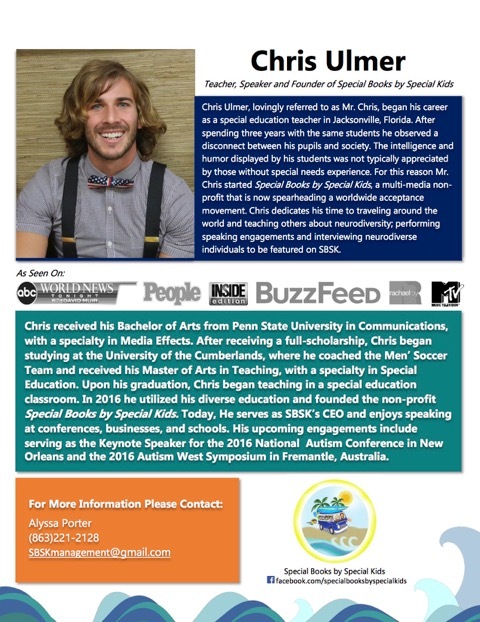 He is also the keynote speaker at this year’s National Autism Conference. 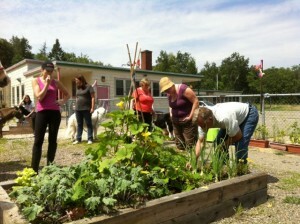 Hinchinbrook Farm programs are designed to work with a few autistic families at a time on a small 10 acre hobby farm on the South Shore of Nova Scotia in Lunenburg County. This sponsored camp is maxed with three families. December 13 – Autism Friendly Visit with Santa! Sunday, July 12, 11 am – 4 pm: Hinchinbrook Farm is partnering with the Blockhouse School Project to present the 3rd Annual Communi-TEA & Open House at the Blockhouse School. Please join us to visit the therapeutic garden which has become part of the Hinchinbrook equine therapy activities. The intelligence of our horses will be demonstrated as they are put through their math paces. Mini petting zoo, plant identification, rides and more! Strawberry Social (tickets $8). Cheese making demo at 1 pm.